Troll, Cast, or Jig for Jacks, Grouper, Snapper, and the Famous Roosterfish! There are different types of anglers out there. If going deep sea fishing and trolling all day doesn’t interest you, then this package might be for you. You’ll try a more hands-on approach by spending your time in-shore fishing for a variety of species. Troll, cast, or jig to your heart’s content in the still pristine waters. If you’re in saltwater, expect mackerel, jacks, grouper, snapper, snook, and the famous roosterfish. For those interested in freshwater and light tackle, you may fish for snook and freshwater exotics like guapote, a powerful and colorful fish called by many rainbow bass; mojarra, a large bream-like cichlid; and machaca, a distant relative of the piranha. While you’re not out fishing, you’ll have the opportunity to relax at La Mansion Inn. Considered one of Manuel Antonio’s top hotels, your temporary home will have an important role: getting you in good spirits. Why? Well, someone with a good attitude is always prone to catch more fish! 7-night lodging at La Mansion Inn. Breakfast included! Arrive into San José, Costa Rica, where our “Meet and Greet” service will take you to your private transfer. 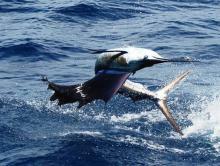 Ready for some inshore fishing Costa Rica? Once you set foot on this country, we will drive you 2.5 hours up and over mountains and down to the Pacific Coast. Your destination? The fishing town of Quepos and the famous Manuel Antonio National Park. 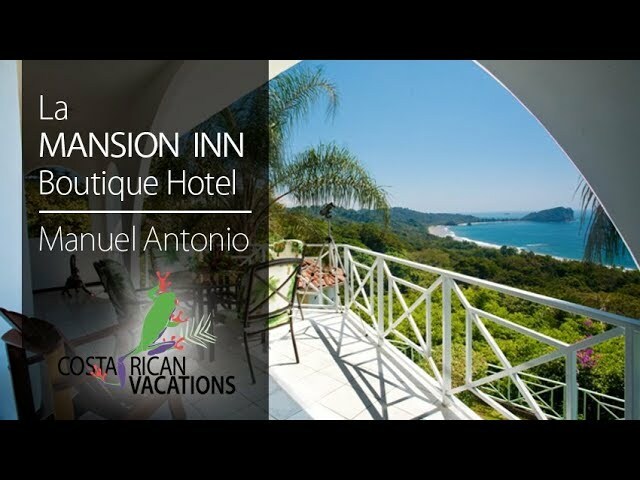 Here you’ll stay at the gorgeous La Mansion Inn, which is one of Manuel Antonio’s top boutique hotels. Its 26 rooms guarantee you great service and the peace and quiet you deserve on a tropical vacation. Use this day to catch up from sleep after a day of traveling. What can you do? You can relax at the pool or walk to the nearby Playa Biesanz. If you want to explore more, you can take the free shuttle to the Manuel Antonio National Park. Day 3: Manuel Antonio Fishing! Your first full day of fishing! Head out on the clear blue Pacific waters in front of the Manuel Antonio National Park. There, you can troll near the rocky islands and under water reefs for a huge variety of game fish. This day is yours! This is a free day to relax and enjoy your beautiful surroundings in Costa Rica. Hang out at the rooftop pool bar and lounge or head down to the Manuel Antonio National Park. Enjoy their three gorgeous beaches and spot monkeys, iguanas, snakes, and sloths. Full day of sportfishing! Head back out for another day of non-stop action in-shore fishing. If you want to try something fun, have your captain take you close to the river mouths near the national park. There, you will cast into the surf and wait for the big snook to come. Assuming all goes well, you are eating fresh ceviche by sunset! 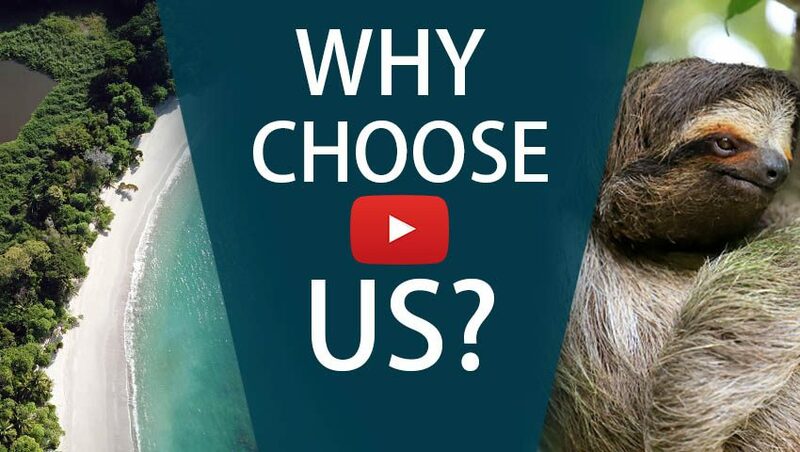 Take a break from the fishing and see what else Costa Rica has to offer. 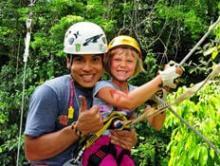 Play Tarzan as you ride the zip lines over and through the rainforest. Canopy Safari offers 21 platforms, 13 cables, and two Tarzan swings! Day 7: More Fishing for You! One more half day of in-shore fishing along the Central Pacific’s vibrant coast. The rocky coastline makes for the perfect habitat for huge roosterfish and wahoo. Get picked up at the hotel and taken to the Quepos Airstrip 10 minutes away. Avoid the three-hour drive back and take a 25-minute domestic flight to the San José International Airport.